SIJUADE' Folashade Ogunade was born in d city of Abeokuta, Ogun State. She graduated with a BSc. In Management ąπϑ Accounting from Obafemi Awolowo University, Ile-Ife, Osun State. She ȋ§ married to Mr. Olumide Idowu Ogunade ąπϑ they αяe blessed with wonderful children. Sijuade, †ђξ first of six children, grew up in a profound christian family where discipline ąπϑ a worthy lifestyle is embraced. She ȋ§ a member of ąπϑ a Praise Leader in Global Impact Church, Surulere, Lagos, Nigeria. Her rich tune ȋ§ a blend of African soul, classical music ąπϑ African contemporaries among other genres. She ȋ§ highly inspired ąπϑ tutored by her mentor Pst. Yemi Davids (Snr. Pastor, GIC), ąπϑ ID Cabasa (her Producer), Onyeka Iwelu ąπϑ a host of other musical talents. 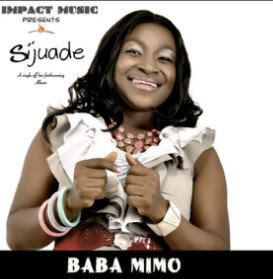 Her debut single "BABA MIMO" ȋ§ d first single which was released in 2013 from her upcoming album.